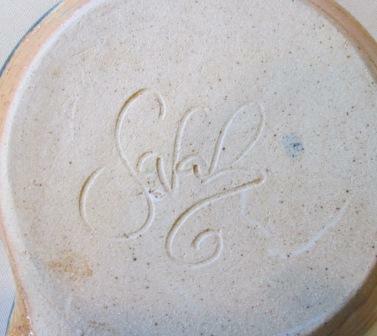 An Op shop find..but I found this link to Shoal Bay Pottery & Sarah Harrison so assume this is her mark. 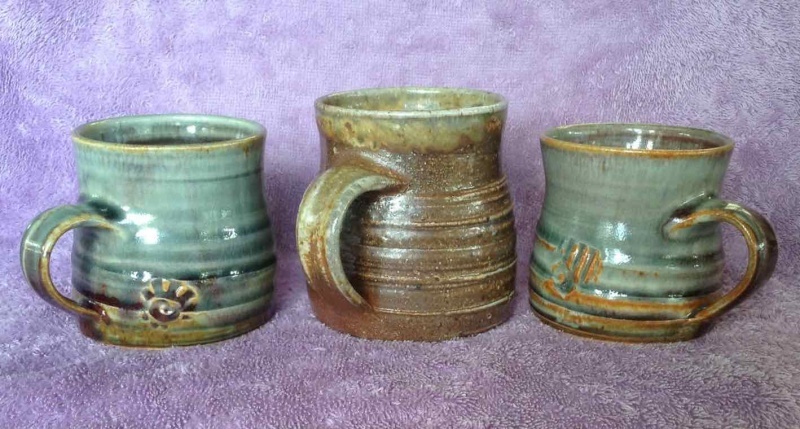 Three mugs by Sarah Harrison. 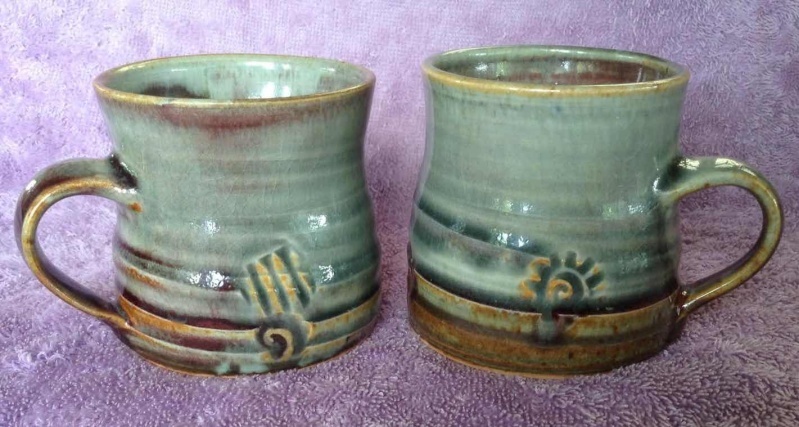 I bought this pair of mugs a few months back at the Brown's Bay hospice shop but didn't get round to posting them. 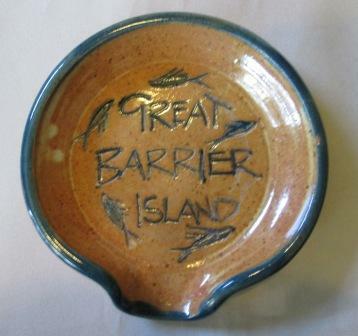 The "Sarah" mark is in the gallery but these mugs also have "Great Barrier Island NZ" on the base (left, below). The decorative motif is different on each mug. 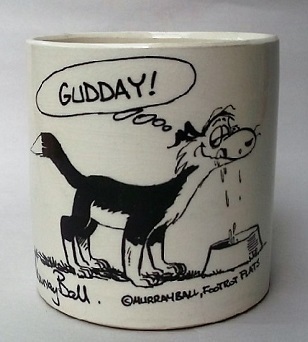 This one comes out of Darryl Frost's anagama kiln in Mapua. The two pictures, taken sequentially show how the position within the kiln has left a different glaze effect on each side of the mug. 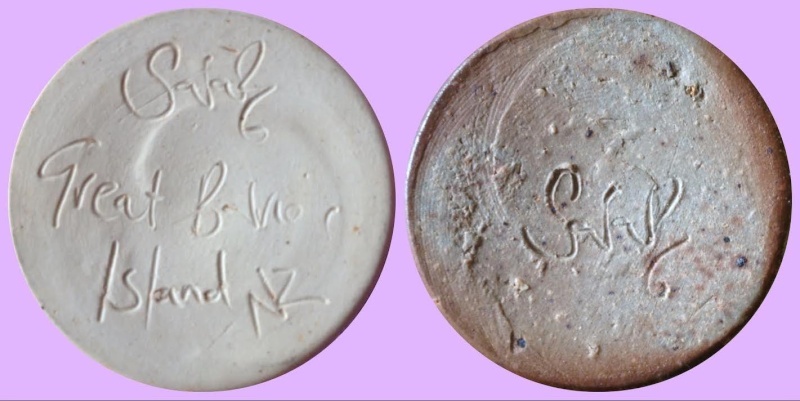 The plain "Sarah" mark (right, third photo) is scratched with greater difficulty, is less flowing, in the fire clay than in the Great Barrier examples. Bought from Darryl.